In comparison to the US, China, or UK, Taiwan is not usually the first place that comes to mind when it comes to global AI hotspots. However, recent bold moves by several American tech giants would have you think otherwise. Earlier this year, the “AI-first” Google announced the plan to recruit 300 new employees in Taiwan, mostly engineers, and at the same time pledged to train over 5,000 Taiwanese in the field of AI. This is on top of the fact that Taiwan already serves as the company’s largest R&D base outside of America, after acquiring 2,000 engineers from HTC last year. Meanwhile, Microsoft also chose Taiwan over China and India as the location of a US$ 33 million AI R&D hub, which will look to employ 200 researchers in the next five years. 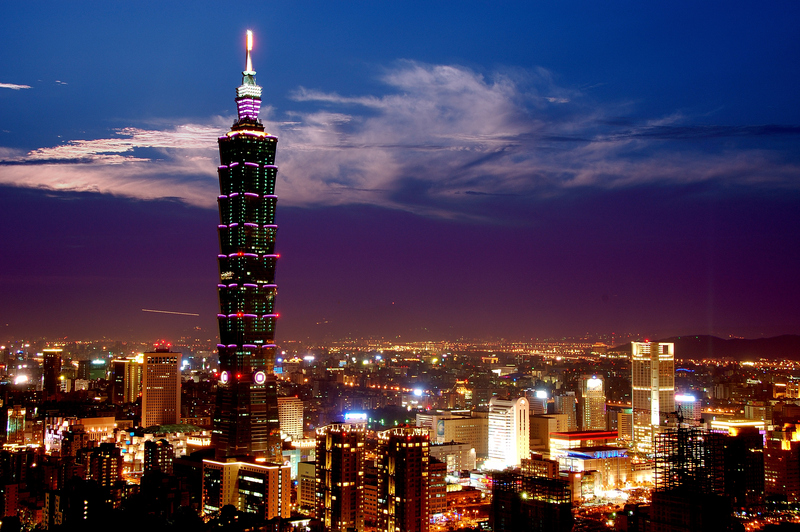 IBM announced the expansion of its Taiwan R&D center to incorporate 100 new hires that will focus on exploring AI, blockchain, and cloud computing technology. So why the sudden deep interest in an island that has been in recent times characterized as an “Asian tiger that lost its roar”? Well, the parallel explosion of computing power and big data actually did more than just create the perfect storm to bring AI from classroom theory to real-world application. It also turned Taiwan into a fertile breeding ground for the next generation of AI talent. A recent study by Element AI suggested that there are only 22,000 qualified researchers that have the abilities to seriously spearhead new AI projects worldwide. With such limited supply, companies are usually left with only two options for building an AI team: poach or cultivate from the bottom up. However, when starting salaries for even a fresh PhD grad with little to no work experience are reaching north of US$ 300,000 in traditional AI hubs, it actually becomes much clearer why companies are starting to look at places like Taiwan, where the labor is significantly cheaper but no less qualified for training. Unbeknownst to many, Taiwan has actually made its fair share of contributions when its comes chartering the AI frontier. One of the lead developers behind AlphaGo was actually a Taiwanese computer scientist named Aja Huang, and another Taiwanese native, Tung-Kung Liu, is currently ranked 2nd among the world’s top 10 AI researchers and influencers. According to the SCImago Journal Rank, the island also boasts the 12th largest number of CS-AI papers published worldwide and places 8th in the number of citations. But more importantly, while Taiwan might not boast the largest concentration of AI experts per se, it certainly exhibits more than enough raw talent that, if properly refined, could fuel a company’s regional AI initiatives well into the distant future. But how about other countries in Greater Southeast Asia? From a sheer scale standpoint, Taiwan’s population of 23 million cannot compete with any one of its many regional neighbors that boast millions more laborers, readily accessible for pesos on the dollar. However, we’re not talking about sorting beans or sewing buttons here. Effectively employing an AI strategy requires highly skilled workers, equipped at the bare minimum with solid foundations in both mathematics and programming, and ideally with a familiarity—or at least the ability—to quickly pick up common machine learning algorithms and frameworks. At the top of the talent pipeline, Taiwanese students boast the 4th highest performance in the world when it comes to mathematics and science, according to the OECD, with engineering degrees comprising over 25 percent of all university graduates every year. Taiwan’s history as a leading OEM/ODM for the world’s leading consumer electronics brands has also spawned an unparalleled talent pool, trained in all facets of electrical engineering. This makes them ripe for capitalizing on the growing application of AI in IoT, Industry 4.0, and smart cities if properly upskilled. But of course, wooing American money and marketing Taiwan’s potential as a global AI and technology hub has fallen right in line with the government’s long-term ambitions. This past January, the Executive Yuan unveiled the Taiwan AI Action Plan, which has earmarked US$ 1.22 billion over the course of four years to help the proliferation of Taiwan’s AI muscle. This includes everything from fostering and attracting top AI talent, facilitating supportive regulations, incubating local AI startups, and bridging academic research with industry applications. The Taiwan AI Action Plan is actually only one of several initiatives launched under the purview of President Tsai to help Taiwan finally make the leap into the 21st century as a truly innovation-driven economy. The 5+2 Industrial Innovation Plan focuses on promoting several key industries within the economy where Taiwan displays the most potential to play on the global stage such as IoT, smart machinery, and biomedical. DIGI+ aims to completely digitize Taiwan’s infrastructure and turn it into a Smart Nation. That said, government-led initiatives that to aim to forcibly spur innovation sometimes fail to amount to anything more than political rhetoric. That is why many intrepid entrepreneurs have taken it upon themselves to showcase Taiwan’s strengths. One of these individuals is Ethan Tu, the CEO and founder of Taiwan AI Labs—Taiwan’s answer to DeepMind. Most recently serving as Microsoft’s director of AI R&D in APAC, Tu started Taiwan AI Labs to help the country get a foothold in the global AI race by conducting grassroots research and cultivating homegrown AI talent. That mission seemed to have resonated well with a fellow AI heavyweight, Mike Calcagno, who recently joined the project and formerly lead the development of Microsoft’s Cortana. Although AI has been around since 1965, public interest in the technology has only really started taking off in the better part of the last decade with the pivotal breakthroughs in deep learning and neural networks. This is when you started hearing about the IBM Watsons and AlphaGos of the world, when virtual assistants became a ubiquitous feature in every smartphone, when home speakers became smart enough to talk back to you, and when the first self-driving cars started to hit the streets. Indeed, AI has evolved at an accelerated pace in the last few years, but the technology still remains relatively elusive in emerging regions such as Greater Southeast Asia, which is home to over 650 million people. The region uniquely exhibits a relatively young population that was born straight into the digital era, with more and more coming online every day. That means much more data and a much more receptive demographic when it comes to adopting new technologies. But having all that data is useless unless you can make sense of it. That’s where Taiwan can step in. Although Taiwan itself is still an infant player in the global AI race, the country has displayed promising initiatives on both the public and private side. In a few years time, multiple waves of qualified and experienced AI talent will likely splinter off and diffuse best practices across the region, and beyond. If you’re a startup currently or prospectively employing AI, be sure to apply to AW#17—AppWorks Accelerator’s inaugural AI & Blockchain only batch. Final deadline for applications is June 18.